Digital scouting has been helping farmers, agronomists and breeders detect potential problems early and tackle them at faster. Every field tells a different story and a good agricultural tool makes that story more complete. Farmers are scouting their crops for signs of potential issues. 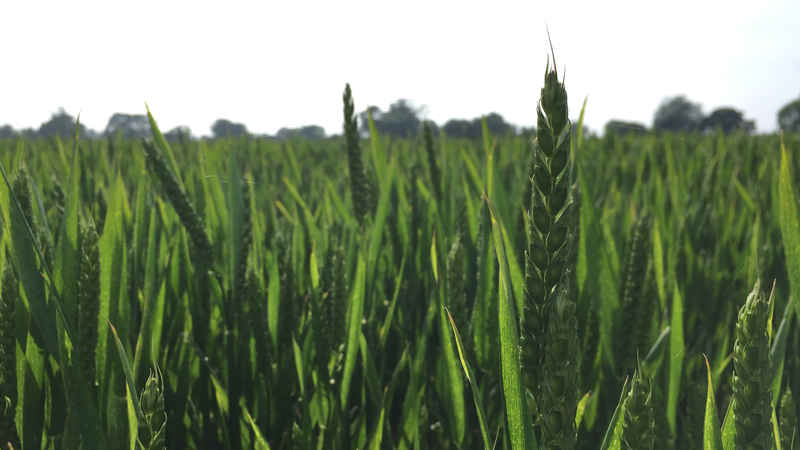 Whether its boots-on-the-ground or emerging technologies in their toolbox, they scout to inform their decisions about how to protect crops from weeds, pests, and disease. A view from above gives a better overview of a farm and you can inspect every detail with drone-acquired imagery. Images instantly processed into orthomosaics (high-definition, detailed maps) give more information on potential machinery, drainage, or animal damage. They can even indicate where there could potentially be a nutrient deficiency issue by comparing the crops within the same field. To give more context and to inspect the crops even more closely, you can layer on index maps which add a new dimension to information visibility. Detecting potential pest outbreaks, stressed crops from a malfunctioned irrigation system, or lack of nutrients are all examples that become less of a problem if detected early. As another layer of accuracy, boots-on-the-ground are useful to double check and confirm problem hotspots from maps – from the field. To be as efficient as possible, Pix4Dfields comes with an annotation tool. By adding annotations to your maps, you convey more valuable and actionable information for your team and for yourself. For example, the orthomosaic on the left very clearly indicates patches of what looks like bare soil, and the same can be seen on the index map on the right. The index map can additionally pinpoint the areas that might be experiencing stress levels and need to be inspected in more detail. After checking on-ground the highlighted areas from the maps, we find out that the area marked with annotation 1 is a dry spot where water was sitting for a long time during fall, winter, and spring due to the high rainfall. The plants died there because the soil was saturated and no air was inside the pores of the soil. Special thank you to Konrad Harbort for his ‘on-ground ag sight’. Digital scouting opens new ways of identifying issues in your farm and helps you understand your plant’s stress levels faster. 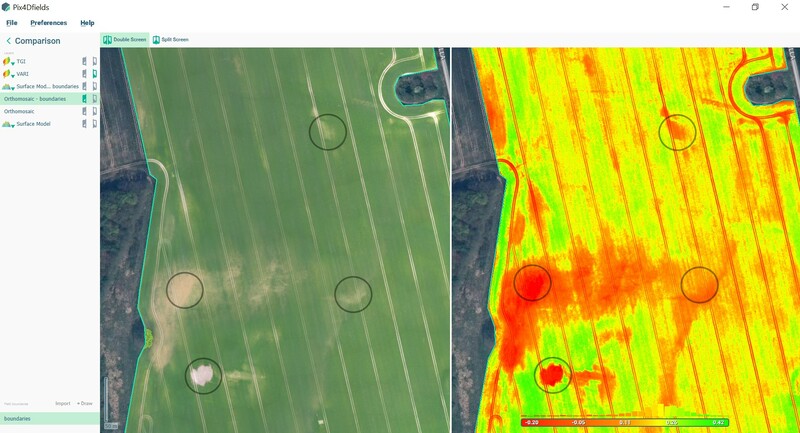 By using drone imagery and by linking the different layers of information side-by-side, crop patterns may tell a different story from the one on-ground. Annotate the pinpointed areas in your maps and get your team collaborating on making better and more focused farming management decisions. To learn more about how to use annotations in Pix4Dfields, visit our Pix4Dfields knowledge base. 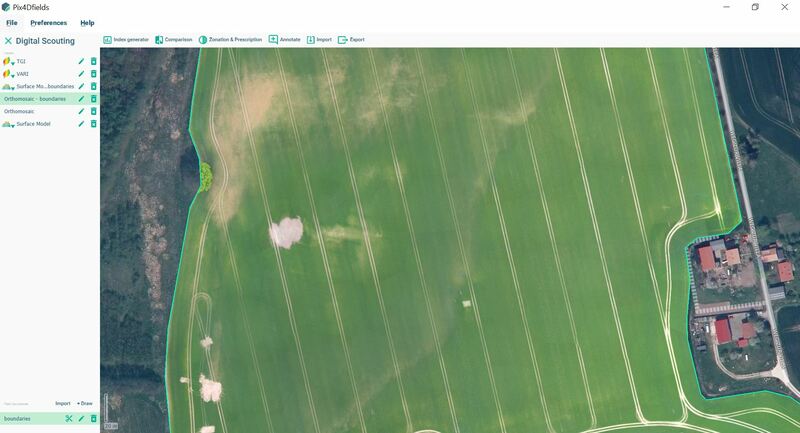 Aerial crop analysis for digital farming. Meet Pix4D Fusion: a flexible membership program for end-to-end agricultural drone mapping solutions. 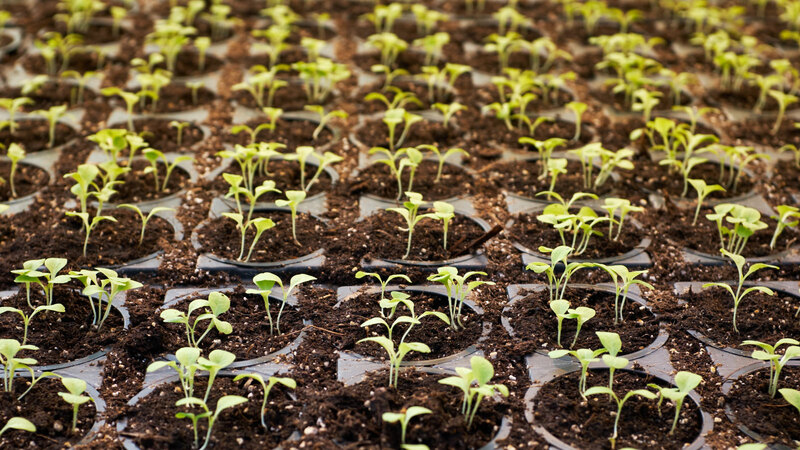 In agriculture, stakes are high and innovation is faster than ever. 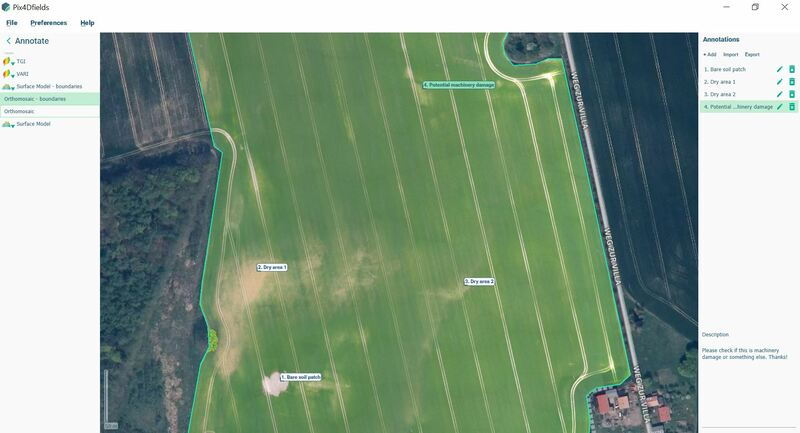 Precision farming software Pix4Dfields 1.4 is here for the new season. 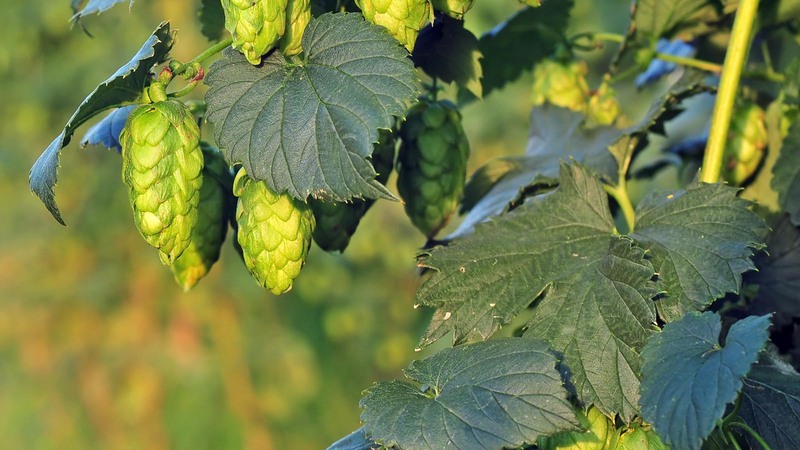 As revelers raise their glasses for St Patrick’s day, hop growers are refining more efficient techniques with drone mapping.